Xploquest is a project that started 20 years ago. Here is its story. I'm a fan of role-playing games and especially video games. I have very good memories of the sagas Ultima, Wizardry, Might and Magic but also Zelda in a rather adventurous type. I still play of course. Right now for example, I spend a lot of time on the last Zelda, Breath of the Wild. 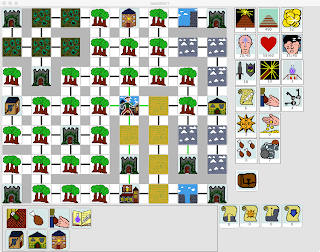 I always wanted to develop games but I lack patience, especially with coding, not to mention the graphics. 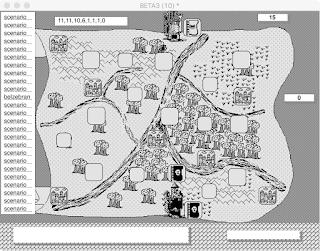 My first game is a text-only role-playing game, developed in basic on a PC. Subsequently I devoted myself mainly to the writing and the realization of film, leaving the development of video game. 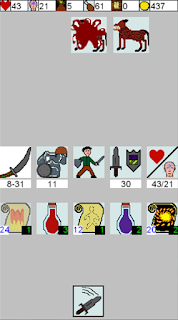 And then I got the idea of Xploquest, a simple idea in fact: A role-playing game with lots of exploration and where you have to manage your gold. The map is divided into zones and each movement is actually a trip of one or more days. 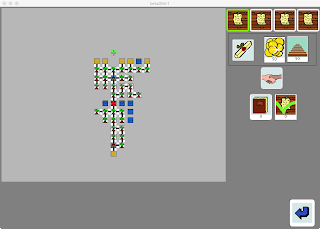 As I wanted to develop quickly, I decided to work on Hypercard, a very accessible tool. 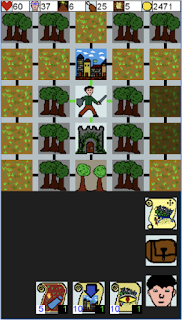 So I spent several months developing my game and I got to a first prototype. 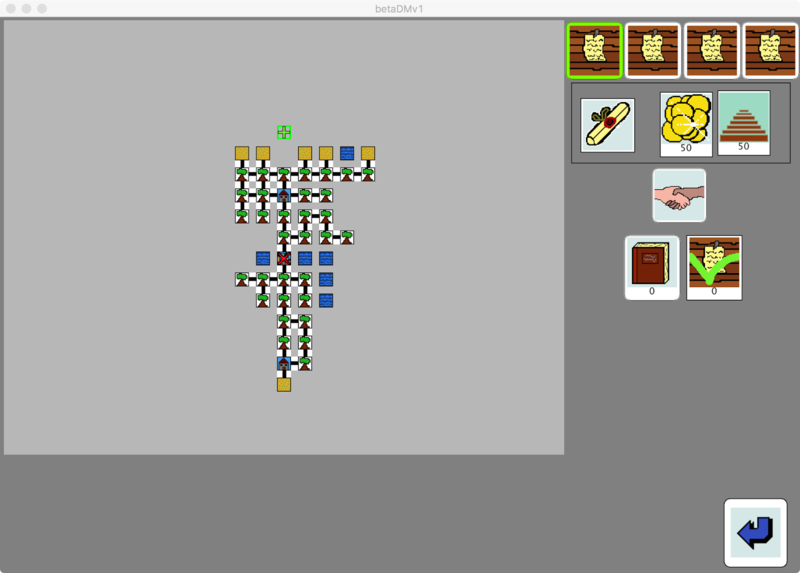 My prototype worked quite well but several things were frustrating. 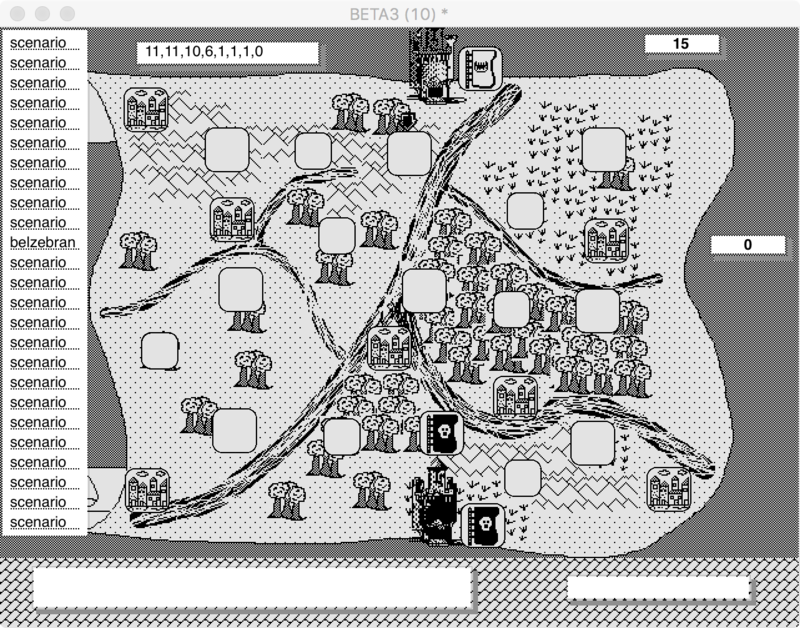 First, Hypercard managed very badly the color and it seemed difficult to release a game in black and white, even 20 years ago. In addition, I felt unable to make quality graphics, which seriously undermined my motivation (what good to make an ugly game). So I decided to drop the project and dedicate myself to something else. It was only 13 years later that I took over the project. I had free time and I was still thinking about this game that I had not finished. Hypercard no longer existed but a software took over (there was even a reduced price for Hypercard owners): Runrev which later became Livecode. 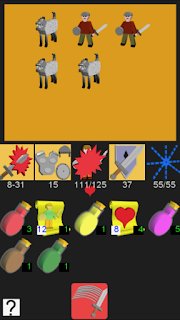 So I bought Runrev and I resumed the development of the game. I took advantage to modify a little the design of the game and I pushed the management aspect of the character. 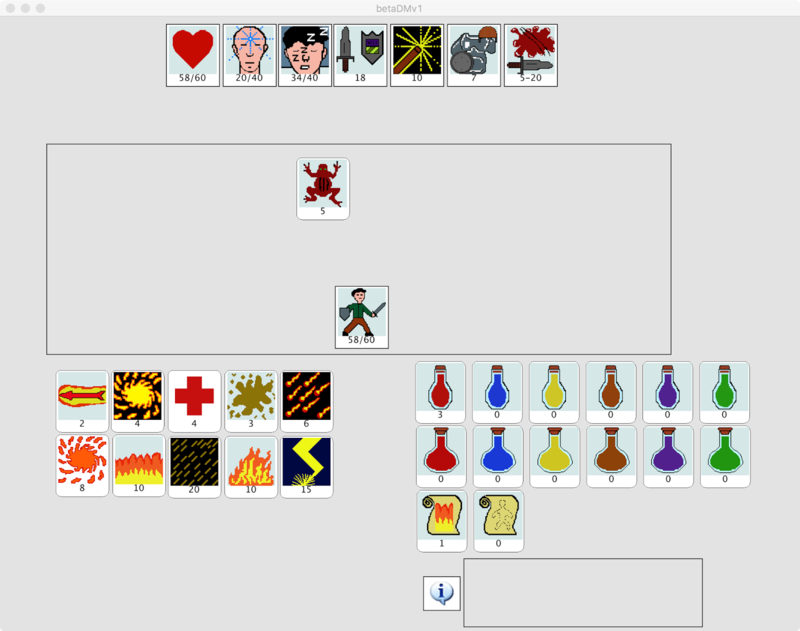 I finished my game and I had it tested to several people of my entourage. The feedback was rather positive and as I was motivated, I decided to make a new version more ambitious. 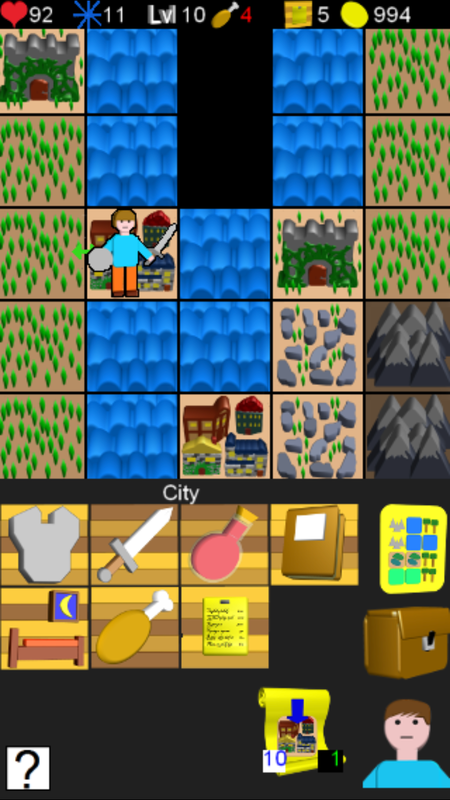 The new version had a much larger map, caves to explore in addition to dungeons and some interface improvements. I also added quests. I spent several months on this version. 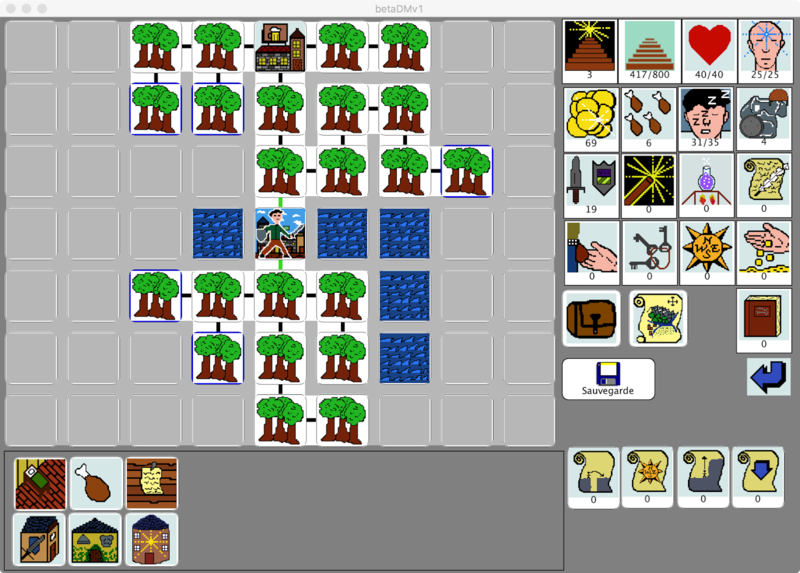 I also decided to broadcast the game in web mode, which required the installation of a plug-in on the browser. I opened a blog on the "Gamekult" website to broadcast the game. In parallel, I was starting to work on a new version with new features because I was still far from what I wanted to get. Obviously my game did not really move the crowds and my motivation began to decline seriously. I decided to take a break and dedicate myself to other projects. I decided to resume the project about a year ago. I always thought about the concept and especially the fact that being old I no longer have the time or the motivation to do long, complex RPG, with lots of dialogues that bore me most of the time. I liked the idea of a game that is played quickly and that that one can return several weeks later without feeling lost. 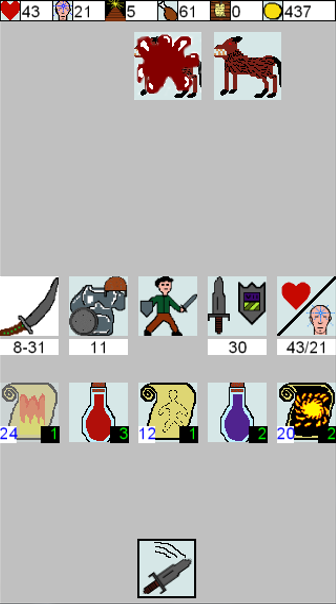 My concept lent itself well to this type of player that I am and I decided to redo my game by adapting it this time for smartphones. I left Livecode to switch to Gamemaker, cheaper and more suitable for video games. 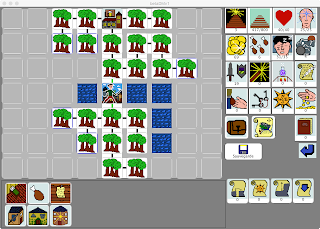 So I went back to zero to develop Xploquest. For the first version, I re-used the graphics of previous versions to save time. 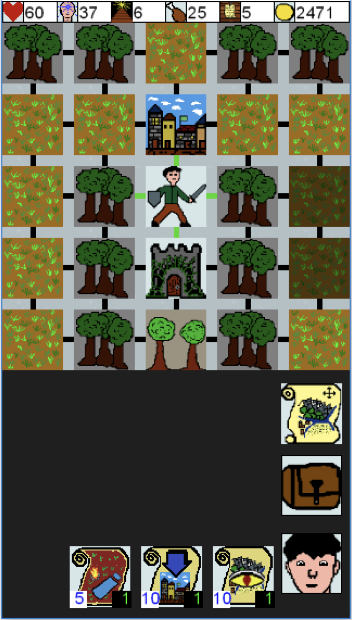 I also simplified the game and made some interface changes. 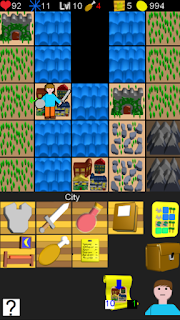 I spent about 5 months developing on Game Maker to get an Ios version and an Android version. After a test phase, I decided to publish the game on the stores at the end of January 2017. I made some additions and improvements quite quickly following the returns of some players. Looking at the game, I realized that visually it was not good at all, the game was rejected by the vast majority of sites I asked to talk about. I thank the only one who spoke about the game and very positively (rpg-site.com). 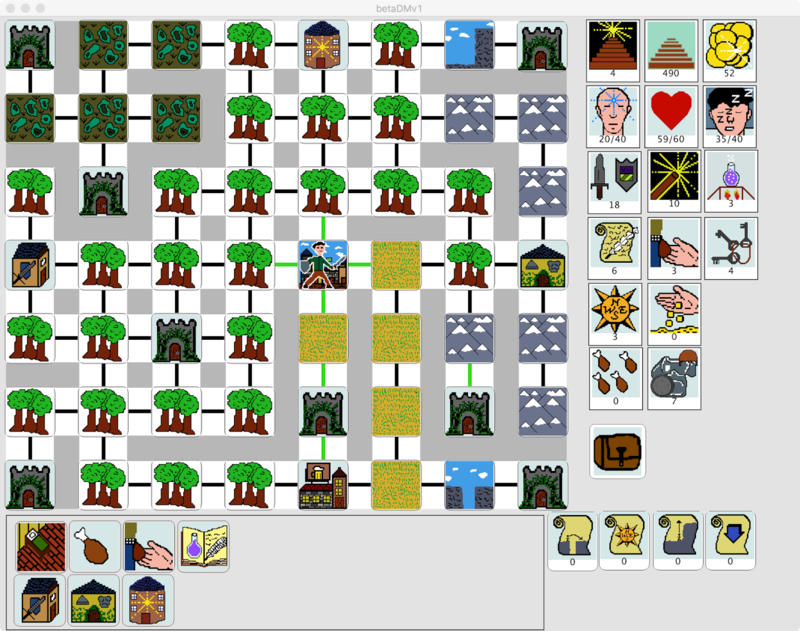 So I decided to completely redo the graphics and design of the game. I spent about 3 months in order to obtain a result that seems acceptable to me for a free and independent game. I released this new version, V1.2 at the beginning of May.